Impacted by a global slowdown, Singapore’s GDP growth is expected to moderate in 2019. Domestically, the office market performed above expectations in 2018 with healthy indicators on most fronts. Despite potential headwinds, prospects over the next couple of years looks positive, spurred by tightening vacancy and a tapering pipeline. For the retail sector, rental erosion has eased off and the market is showing signs of stabilisation after a prolonged period of rental correction. The industrial market appears to be stabilising where most of the supply pressure has been alleviated. On the residential front, the introduction of additional cooling measures are expected to dampen the market. Overall, with increasing interest rates, investors appear to be adopting a defensive investment strategy, as they seek stable assets with long term income growth. Read more about the outlook of these sectors in the Singapore Real Estate Market Outlook 2019 Report. Singapore’s GDP growth is expected to moderate in 2019 on the back of changing dynamics in key demand drivers. The cyclical slowdown in electronics demand alongside trade frictions will weigh heavily on the manufacturing sector as well as the trade-related clusters. Singapore’s economy grew by 3.3% in 2018 based on advance estimates, coming in slightly lower than the previous year of 3.6%. It was a tale of two halves with growth averaging 4.3% in the first six months of the year, before trailing off to 2.2% in the second half of the year. This was mainly on account of a slowdown in Singapore’s key final demand markets such as US and China. The sectors that contributed the most to GDP expansion were manufacturing, finance & insurance and information & communication. Singapore’s GDP growth is expected to moderate in 2019 on the back of changing dynamics in key demand drivers. The cyclical slowdown in electronics demand alongside trade frictions will weigh heavily on the manufacturing sector as well as contributions from the trade-related clusters. On the bright side, the modern services clusters is expected to remain resilient amidst a boom in digital-related activities in the technology and financial sectors. The construction sector, which had shrunk for two consecutive years, is also expected to provide a fillip in 2019. This will be supported by an increase in public infrastructure projects as well as the redevelopment of en-bloc sites during the recent collective sale frenzy. Rising trade tensions has been a major source of volatility and the effects of the US-China trade war on Singapore subject to much debate. As it stands, Singapore looks to have weathered the trade war relatively well. Businesses frontloading on goods ahead of tariffs means that the global trade impact has not fully materialised. NODX figures for 2018 at the same time was largely positive, having grown 4.2% y-o-y for the full year. However, this trend is unlikely to continue in 2019 with some cracks showing in recent trade figures. NODX shrunk 8.5% y-o-y in December, its second straight month of decline with exports to all of Singapore’s main trading partners except US and China contracting. Bar a couple of months, non-oil domestic exports to China have largely shrunk at double digits for the whole of 2018 while exports to US in contrast have grown an astounding 39.5% on average each month in the same period. On the flip side, South-east Asian factories are touted to be the beneficiaries from this trade war as multinationals ponder on decisions to start diverting their production to escape tariffs. At the same time, there is also renewed efforts by China and many ASEAN states to drive existing regional trade initiatives such as the Comprehensive and Progressive Agreement for the Trans-Pacific Partnership (CPTPP) and the Regional Comprehensive Economic Partnership (RCEP). However, a full scale US-China trade war scenario will lead to a deterioration in confidence and business investments and adversely affect overall trade volumes. Most of the Asian economies are export-oriented and heavily intertwined with global value and logistics chains and will inadvertently come out losers in such a situation. The prospect of rising interest rates has loomed over markets over the past 18-24 months. The Federal Reserve benchmark interest rates rose four times in 2018, with the fund rate currently at a target range of 2.25% to 2.5%. While the increase in economic uncertainties has clouded the outlook for 2019, the consensus is that tightening of monetary policy is likely to continue with two more hikes expected this year. While local interest rates have been creeping up, it is still at a level that is manageable. That said, further increases in the interest rate will place added pressure on homebuyers’ mortgage affordability and household debt servicing ratios. Businesses will also have to factor in this higher interest rate environment which could increase their borrowing costs. Combined with the heightened uncertainties from the trade war and shifting geopolitics, both consumers and companies are likely to strike a more cautionary approach in 2019. The office market performed above expectations in 2018 with healthy indicators on most fronts. Moving into 2019, co-working and the wave of venture capital to find the next ‘unicorn’ are expected to feature in office demand. Despite potential headwinds, prospects over the next couple of years looks positive, spurred by tightening vacancy and a tapering pipeline. The office market performed above expectations in 2018, with healthy indicators on most fronts. Islandwide net absorption totalled 1.59 mil sq. ft., coming in at a slightly higher level than net supply of 1.51 mil sq. ft. Vacancy levels have also trended downwards for both islandwide and Grade A (Core CBD) segments. The co-working operators were the standout performers in 2018. CBRE Research estimates that the co-working market doubled in size from 0.7 mil sq. ft. in 2017 to 1.4 mil sq. ft. Technology firms have been another consistent driver of demand. Most of the large technology players are continuing to expand in Singapore as the city emerges as an international tech hub whilst many small to medium sized tech enterprises have chosen to locate in Singapore due to its business-friendly environment and ease of attracting talent. Flight to efficiency has been a main theme with new builts and Grade A products the main beneficiaries. This led Core CBD (Grade A) rents to grow 14.9% in 2018 which also represents a 21% growth from the last trough in 2017 Q2. Startups have traditionally been overlooked as a legitimate office demand driver due to their small space requirements and unpredictable demand patterns. However, the boom in venture capital into this region as well as the race by startups to be the next ‘unicorn’ could catalyse demand for office space. Singapore is currently home to four of the 10 unicorns in SEA (Grab, SEA, Lazada, Razer), all of which have a significant presence locally and occupying a combined floor area of more than 500,000 sq. ft. Over the past 12-18 months, we have also seen a number of overseas startups expanding such as Adyen, Netflix and Zendesk. With more VC players entering the market particularly corporate VC arms and corporate accelerators, this should lead generate increasingly larger funding rounds which could help drive a wave of office expansions. Ever since the concept of co-working took root about five years back, operators have had some time experimenting and fine-tuning their products. Armed with this experience and riding on the startup boom, they are currently expanding furiously in terms of both speed and size. CBRE Research estimates that the co-working market in Singapore doubled in size from 0.7 mil sq. ft. the year before to 1.4 mil sq. ft. in 2018 (Figure 1). In a bid to differentiate themselves from the others, new and upcoming co-working facilities are growing ever larger. From average sizes of 5,000-10,000 sq. ft. in 2013, there are now facilities 60,000 sq. ft. large such as those taken up by WeWork, JustCo and Distrii. Campfire also recently announced it will launch in Singapore, taking up 85,000 sq. ft. at 139 Cecil Street. There is still considerable interest in the co-working sector and this should help to support growth over the next couple of years. Operators remain aggressive in acquiring market share amidst an escalation in competition. Expect another strong year by the co-working operators with market size expected to surpass 2.0 mil sq. ft. in size. While the prospect of rising interest rates remains one of the key risks, the ongoing trade war has firmly taken the spotlight. Already, the current disruptions in supply chains and trade flows have led to greater uncertainty and volatility in the global markets. Should the trade conflict escalate into a full-blown trade war, it will greatly undermine consumer confidence as well as business expansion and investment plans. Consequently, office demand will be susceptible to a slowdown. On the plus side, it seems that South-east Asia has to an extent been a beneficiary of the trade tensions, which could possibly lead to some opportunities opening up for Singapore. The tapering supply pipeline over the next three years would also help to cushion the market to some extent even if demand moderates. The future supply expected for 2019-2022 stands at 5.39 mil sq. ft. This equates to an annual average of 1.33 mil sq. ft. which is approximately 30% lower than the 10-year average of 1.90 mil sq. ft (Figure 2). Grade A (Core CBD) vacancy tightened from 6.2% to 5.1% as at end of 2018, highlighting the robust take-up of prime and new office space. With a very limited pipeline of such spaces in the horizon, vacancy for this submarket is expected to compress further. As core CBD office rents continue to rise and with dropping availability of prime space, occupiers are expected to widen their location criteria in office requirements in order to secure suitable premises. This could help drive up leasing demand for Grade B/B+ offices in choice locations. Prospects for the office market looks largely sanguine in the next couple of years; demand looks relatively stable while pipeline supply is moderating, all of which are positive indicators. At the same time, leasing interest for upcoming new developments looks fairly healthy, with some notable pre-commitments already executed for projects in 2019 and 2020. Office vacancy is expected to continue trending downwards over the next couple of years given the thinner supply pipeline. Rents is projected to maintain an upward trajectory albeit at a more measured pace as compared to the early part of the rental recovery cycle (Figure 3). The next wave of supply is expected in 2022 which will cap rental growth prospects in the moderate term. As it stands, co-working spaces still account for a relatively small portion of the office market at approximately 1.5% and its impact on the office market has been relatively limited. However, with new co-working facilities growing larger and larger, there has been a distinct shift in focus by co-working players towards larger enterprises to fill up their spaces. Should the fast paced emergence of this market continue and as the high volume of new centres come on line, competition for mid to large sized tenants is expected to intensify. Over the longer term, this could have a dilutive impact on traditional office take-up. If aggressive pricing amongst the providers develops, this could potentially weigh on rental growth prospects. Rental erosion has eased off and the retail market is showing signs of stabilisation after a prolonged period of rental correction. As the needs of consumers become more sophisticated, it will be optimal for both landlords and retailers to work alongside each other and capitalise on existing infrastructure to meet this demand. There has been continued retail sales growth in 2018, driven by improving consumer confidence, strong tourist arrivals and a healthy labour market. With a 6.6% y-o-y growth in Jan-Nov 2018, tourism arrivals are likely to surpass 2017’s performance, which was a record high. Unemployment rate remained low at a band of 2.0% to 2.1% while wages increased by 3.5% y-o-y in Q3 2018. For 2019, Euromonitor International forecasts retail consumption to remain reasonably upbeat with retail sales projected to record growth of 1.9% y-o-y. That said, there is still an underlying level of uncertainty in the sector, which could dampen the potential growth of retail sales. While the consumer confidence index has been slowly rising, it has yet to cross over to the level which indicates market optimism. At the same time, the higher number of tourist arrivals in 2018 failed to translate into increased spending. The performance of the Great Singapore Sale, which typically occurs during the months of June and July, also paled in comparison to previous years due to the abundance of sales promotions, rise of online shopping and increasingly weary shoppers. The consumers of today are increasingly accustomed to e-commerce and are now seeking new experiences – something that an online platform has been unable to provide. As a result, placemaking will continue to be a key focus for landlords so as to increase dwell times and improve the social experience of shoppers. In that aspect, we have already seen landlords conscientiously refining their tenant mix to include a higher proportion on F&B and activity-based tenants. It was reported that the AEI of Great World City would have its F&B offerings increase from 20% to 30% of its net lettable space upon completion. In Jewel Changi Airport, the F&B allocation will also be about 30% upon its completion in Q1 2019. It is also not uncommon for landlords to place indoor activity parks, movie theatres, arcades and cooking studios as a destination tenant; all of which are attempts to attract footfall and bring life to their malls. These tenants tend to have large space requirements, which aids in alleviating vacancy pressures for landlords. Multi-brand sporting goods retailers have shown an aggressive appetite for space since their entry at the start of 2018. This momentum is likely to continue as the booming health and wellness industry will drive further demand in the sporting goods segment. However, their demand for flagship stores could wear off and potentially focus more on expanding their store networks. Demand from gyms and fitness clubs are also expected to grow although their requirements would be much more sporadic. Much like how an office building would typically only have one co-working facility, this also applies for gyms and fitness centres where generally only one is sited at a building. As such, any new locations will be largely driven by the availability of new planned retail or office buildings. Pipeline supply remains extremely limited as future supply is expected to tighten sharply after 2019. Notwithstanding the 1.58 mil sq. ft. of supply pipeline in 2019, the total amount of future private retail supply from 2020 to 2022 as tracked by CBRE Research is estimated at only 0.39 mil sq. ft. (Figure 4). This works out to an annual average of approximately 0.13 mil sq. ft., significantly lower than the 5-year historical average (2014-2018) of 1.55 mil sq. ft. With the reduced supply pipeline, the market is likely to undergo a period of tightening vacancy over the medium term. The robust supply pipeline in 2019 is not a major cause of concern as most of the upcoming retail space in 2019 has already been absorbed. Demand for prime retail space continues to remain healthy as key projects looking to complete this year have attained stellar pre-commitment rates. Rental erosion has eased off and the retail market is showing signs of stabilisation after a prolonged period of rental correction since Q1 2015. On the back of a gradual increase in retail sales and tourism growth, average islandwide prime rents as tracked by CBRE Research grew four consecutive quarters in 2018 with a total annual increase of 1.2% (Figure 5). This was largely driven by better performing malls which are supported by strong locational attributes. The market in 2019 is expected to continue favouring the primary malls. Rental growth will be driven by prime properties while secondary corridors and floors will struggle with occupancy. In these areas, the need to fill up vacant space will tip the balance between rents and occupancy. Although landlords could introduce pop-up stores or destination tenants to fill up such vacancies, the lower rents that these tenants typically pay could put a dent on the average rents achieved for the mall. In the mid to long term, a strong rebound is unlikely as there is still some underlying uncertainty in the market. Aside from the tight domestic labour market and competitive e-commerce scene, there are growing concerns over China’s slowdown. Its trade war-hit economy, government crackdown on overseas purchases and the alignment of luxury goods prices in China to global standards could potentially dent tourist spending and retail sales in Singapore. As such, CBRE Research expects average prime rents to increase at a stable and sustainable pace in the next few years. As much as the world of retail is being disrupted by technology and e-commerce, there has been continued re-investments to the physical store. Embracing an omni-channel approach, many online retailers have begun to explore the physical store format as they began to see some stabilisation in their business and are encouraged by the recovering retail scene. Recently, online grocer Honestbee created a true omni-channel experience by opening its first physical store. Housed in a 60,000 sq. ft. space, it not only has a fully automated checkout system which allows customers to pay using a smartphone, but it also serves as a fulfilment centre for online sales. Increasingly, it will be important for retailers to expand their omni-channel capabilities to integrate online and offline sales, so that the consumer is connected across all touch points seamlessly. The future of online retailing is bright. Singapore’s online sales for November 2018 accounted for 6.6% of total retail sales, the highest ever seen. This has led to logistics providers responding and adapting to improve the overall shopping convenience for consumers. An increasing number of e-commerce players have formed partnerships and embarked on programmes to promote click and collect services. For example, customers who have purchased from e-commerce site Lazada can now collect orders from almost 350 7 Eleven outlets islandwide, fulfilled by Ninja Van. Similarly, Singpost has launched its SmartPost suite of solutions where both postmen and customers will be able to track deliveries. As the needs of consumers become more sophisticated, it will be optimal for both landlords and retailers to work alongside each other and capitalise on existing infrastructure to meet this demand. The industrial market reached a point of stabilisation where most of the supply pressure has been alleviated. With the rise in e-commerce and expectations of faster delivery time, there is a strong focus on shortening the last mile delivery time. Further, there is an increasing need to consolidate retail and warehouse space to keep costs competitive for retailers and consumers. Based on MTI’s advance estimates, Singapore’s manufacturing output expanded 7.5% y-o-y in 2018, a slower growth compared to 10.1% in 2017. This is expected to further decelerate in 2019 to 2.7% based on projections from Oxford Economics. Similarly, exports are expected to slow from 4.6% in 2018 to 3.4% in 2019. The bulk of the leasing activity in 2018 was driven by firms in the semiconductor, electronics sectors and third-party logistics providers (3PLs). Most of it were renewals, with some firms expanding. These firms look towards the higher specifications properties which can accommodate their higher power requirements, floor loading and ceiling height. There is still keen leasing interest from higher value-adding manufacturers in Singapore. In the World Economic Forum Readiness for the Future of Production report 2018, Singapore was ranked 2nd out of 100 countries in drivers of production. This framework assessed countries based on their adoption of new technology, human capital, global investment and trade, resources and demand. This was a good indication that Singapore is primed to benefit from advanced manufacturing, i.e. autonomous vehicles, artificial intelligence, robotics, and additive manufacturing. The quality of new warehouse facilities is improving as landlords seek to future proof their business. More warehouse stock owned by 3PLs are increasingly incorporating the use of robotics in their systems. For example, DHL Advanced Regional Center’s utilises robotic shuttles that helped improve picking efficiency and cut back on warehouse operational space. As such, the upgrading of logistics system drove demand for professional robots. Based on the World Robotics statistics, service robots for logistic systems is the highest driver of growth in production of units. This is projected to increase by 131% from 210.1 units (2016 – 2018) to 485.3 units (2019 – 2021). With more focus on cutting costs and improving productivity, this is driving occupiers' demand for smart warehouses. With e-commerce sales in Singapore growing, there is a strong need to build an efficient distribution system for retailers. Based on the 2018 Google-Temasek e-commerce study, Singapore’s e-commerce market size (in gross merchandise value) is expected to grow by a CAGR of 18.0% to $5.000 bn by 2025. To cater to this rising demand, retailers, 3PLs and couriers alike are exploring ways to expedite the last mile delivery while scaling down on costs. One example is SingPost who reported that the firm finally achieved scale in its e-commerce warehouse and fulfilment with higher margins from their domestic last mile e-commerce related deliveries. Food grocers have also begun to consolidate logistics services with retail. Honestbee integrated its fulfilment centre with its supermarket. This fulfilment centre sorts and packs customers’ online purchases before delivery. Another food grocer, FairPrice, unveiled its new high-tech fulfilment system in Joo Koon in 2018 where it focuses on its goods to man storage and retrieval system to enhance efficiency. In addition, shared fulfilment centres is the key for the synergisation of logistics with retail. To cut costs and enhance efficiency, there is strong focus on urban logistics where retailers share fulfilment centres. This may encourage further network growth of small scale warehouses, especially in close proximity to highly populated residential catchments. Singapore has invested heavily in infrastructure to support the logistics sector. This includes the upcoming Tuas Port, which will have an annual capacity of 65 mil twenty-foot equivalent unit (TEU). This resulted in more 3PLs locating near the Tuas Mega Port, where they seek opportunities to capitalise on the potential demand from the shipping, biomedical manufacturing, oil & gas sectors. In 2018, Panalpina enhanced its presence as a 3PL in Singapore. For clients such as pharmaceutical companies, Panalpina stores, handles and distributes medicines in the local market and ship them abroad. In addition, they handle deliveries for energy giant, Shell, and is responsible for their warehousing of integrated lubricants and grease production facility in Tuas. This drives further warehouse demand for 3PLs dealing with manufacturing companies in this field. In the East region of Singapore, investment is pouring into the Changi East Industrial Zone where the new facility will consist of air freight terminals, air cargo express facilities and hangars. This will expand Singapore’s air freight capacity further, as it continues to grow by 1.9% y-o-y over the period of January to November to 1.97 mil tonnes. Supply in the East remains tight, with only a few warehouse developments in the pipeline. The largest known project under construction is Schenker Singapore’s new warehouse along Alps Avenue (0.55 mil sq. ft.). At least 52.0% of the upcoming stock is targeted at single-users. The higher level of pre-commitment of upcoming warehouse stock provides respite for the market, as it keeps occupancy stable. The Ministry of Trade and Industry recognises the need to trim supply further. Compared to the 2H 2018 IGLS Programme, permissible maximum supply from the latest 1H 2019’s list was cut by 5.6% to 2.72 mil sq. ft. As a result, more developers are venturing into the private market to purchase sites with longer tenures and larger sizes. Underpinned by the moderating supply pipeline and improving occupancy, the industrial market showed signs of stabilisation. For the first time in 12 quarters, rental decline was arrested in 2018. In 2019, prime logistics rents are expected to stabilise and improve by 1.5% y-o-y to $1.36 psf/month (Figure 7). On the back of healthy demand from 3PLs and e-commerce sectors, this moderate rental growth is projected to continue in 2020 to $1.38 psf/month. After which, rents are expected to stay flat in 2021, in tandem with the slowdown in exports and GDP growth. With the onset of the a ballooning US-China trade war, the impact on industrial demand may remain questionable. Warehouse leasing volume increased 67.4% y-o-y to $21.24 mil in 2018 (Figure 8). In terms of deal count, this rose by 33.5% y-o-y to 1,671 leasing deals. Throughout 2018, tenants were renewing and locking in rents. Growth in leasing volume was the strongest in both the East and West regions. Despite most of the completed supply in 2018 being in the West, take-up was healthy as leasing volume in the West rose by 99.7% to $11.82 mil. Over Q1 – Q3 2018, 2.91 mil sq. ft. of warehouse net absorption was registered. This surpassed the new supply in the corresponding period at 2.82 mil sq. ft., leading to occupancy rates improving by 0.3 percentage points to 89.4%. Coupled with the improving leasing volume, occupancy rates are expected to remain at healthy levels in 2019. Note: Occupancy rate for 2018 is as of Q3 2018 JTC statistics. Following a strong recovery in the residential market in the first half of 2018, this momentum was subsequently doused with the introduction of a new set of cooling measures and revised guidelines from the URA. Going into the new year, these events are expected to dampen the market, as developers turn their focus from acquiring land to clearing the inventory they have on hand. Following a strong 7.4% recovery in the first half of 2018, the government stepped in to implement a new set of cooling measures on July 6th; increasing ABSD and lowering the LTV for subsequent homes purchased. As a result, apart from a spike in transactions the evening before the measures became effective, sales volumes and activity in the collective sales/en-bloc market have been dampened, although still clocking in a respectable 7.9% recovery for the year. Nevertheless, despite weaker sentiments and global economic uncertainties, there will still be demand for well-located projects with affordable absolute prices. For the prime segment, developers will attempt to stoke this demand by rolling out buying schemes and incentives. In the mass market segments, they would likely be drawing up more marketing strategies, phasing out their launches, and defending their margins by managing construction costs. In the Core Central Region (CCR) 2,828 homes were sold in 2018, significantly lower that the sales figures of 4,354 and 2,764 transactions in 2017 and 2016 respectively. Buyers who have been on the side-lines were attracted by well-located projects such as Marina One Residences and Martin Modern. Based on units sold in the CCR, the proportion of units that were priced above $3 mil have increased from 24.8% in 2014 to 34.3% in 2018. Typically, luxury homes refer to units in good quality developments located in the CCR that are priced above $5 mil. 2018 saw 388 luxury homes sold, a slight increase from the 372 and 240 units sold in 2017 and 2016 respectively (Figure 9). As at Q3 2018, 50,330 new homes (excluding ECs) are scheduled to be completed, with supply peaking in 2022. Of this number, 11,505 units are scheduled for completion in 2019, with a further 4,100 units expected in 2020 and 12,263 units in 2021. These figures refer to new development and redevelopment projects with planning approvals (Figure 10). Unsurprisingly, with slowing sales, the amount of unsold inventory out of these homes has also increased to 30,467 in Q3 2018. These unsold units are from projects at different stages of construction as well as completed units. In addition, there is a potential supply of 14,200 units (including ECs) from Government Land Sales (GLS) sites and awarded en-bloc sites that have yet to be granted planning approvals. These units comprise around 6,700 units from awarded GLS sites and confirmed list sites, while about 7,500 units will come from awarded en-bloc sale sites. A large part of this new supply will be made available for sale in 2019, with some spillover into 2020. Altogether, these numbers add up to a formidable supply coming to the market over the next few years; which does not bode well for developers. As an onslaught of launches come onto the market, developers will have to brace themselves for a tough fight to win over a smaller pool of buyers before ABSD kicks in after five years. Depending on their product proposition, 2019 will be a year where some will be rolling with the punches, while others fall flat on the canvas. On one hand, the flood of supply will constrain the ability of developers to raise prices. On the other, with the comfortable timeline of 3-4 years to ABSD, they are unlikely to discount prices. Further, the benchmark prices set in the land acquisition spree between late 2017 and early 2018 will inevitably form high baseline average selling prices. For example, a record was set in the collective sales market, when Park House was sold for $2,910 psf/ppr; while for government land sales, a site at Cuscaden road was sold at a record $2,377 psf/ppr. Naturally, this would mean record prices for these projects when they come onto the market. Prime projects that sold well in 2018 include: Marina One Residences, priced at around $2,518 on average. 143 units were sold with the launch of its second phase. Two other projects worthy of mention for their strong sales are Martin Modern and New Futura which sold 99 units ($2,722 psf) and 98 units ($3,412 psf) respectively. The movement of the private residential price index in the last two quarters of 2018 has shown that the cooling measures have effectively put the brakes of on the market, as the index slowed its pace of growth to 0.5% in 3Q 2018 and declined 0.1% in 4Q 2018 respectively (Chart 10). Healthy sales volume in the CCR at the start of the year resulted in the CCR price index growing by 6.2% in 2018, compared to an increase of 0.6% in 2017. CBRE Research expects the overall price index to remain stable and move between the range of 0 to 3% in 2019. The recent intervention and ensuing weak sentiments will lead to prices growing on a more moderate and sustainable trajectory. CBRE Research expects buyer interest to remain centred on prime residential homes and units with palatable price tags (below $2 million). It is likely developers will come up with various incentives (indirect price discounts) and strategies for marketing their projects. Further, in order to maintain their margins, they might attempt to reduce construction costs or come up with thematic projects. Ultimately, quality projects that are in prime locations and close to upcoming MRT stations will still have potential upside; these include projects centrally located near Napier, Orchard Boulevard and Orchard stations along the Thomson-East Coast Line (due to open in 2025). The outlook going into 2019 appears to be murky; with private economists concurring that Singapore is headed for a slowdown, amidst a full-blown trade war between US and China. Full year 2018 GDP growth came in strong at 3.3%, although 2019 GDP forecast has been trimmed to 2.6%. This will be underpinned by the IT and digital sectors, as well as the construction sector, which is riding on redevelopment works from the recent en-bloc boom. Nevertheless, the Singapore residential market appears to be on firmer footing as speculative activity has been reduced to the minimum, and financial checks are in place to prevent over-gearing. Sales volume will still be driven by total price quantum, supported by fundamental owner-occupier demand from 1) upgraders 2) new households and 3) households displaced from private land sales. Against the backdrop of global headwinds and uncertainties, sentiments are likely to remain tepid and cautious. Further, demand will be kept in check with tighter financing requirements as well as higher borrowing costs in a rising interest rate environment. As a result, CBRE expects sales momentum for 2019 to slow down to the underlying demand levels from 2014 to 2016. The market is transitioning to a regime of higher financing costs along with the U.S. federal reserve hikes. With expectations of more hikes in the U.S. federal reserve rate in 2019, this fuels further increase in domestic borrowing rates. As a result, investors appear to be adopting a defensive investment strategy, as they seek stable assets with long term income growth. 2018 was a year of two halves in Singapore’s capital markets. In 1H 2018, the exuberance in residential land purchases drove residential investment sales to $14.688 bn. This was curtailed after the introduction of new residential cooling measures and tightening of financing limits on 6th July 2018. In 2H 2018, residential sales volume plunged by 75.8% to $3.553 bn. All in, an overall investment volume of $33.355 bn was clocked in 2018 (Figure 12). The lacklustre performance of the residential investment sales market is likely to extend into 2019. Nonetheless, the office, retail and industrial sectors are the bright spots in Singapore’s capital markets this year. Based on the PWC-ULI Emerging Trends in Real Estate Asia Pacific 2019 survey, Singapore was ranked second in terms of investment prospects, a leap from its 21st spot in 2017. The market is transitioning to a regime of higher financing costs along with the U.S. federal reserve rate hikes. With expectations of more hikes in the U.S. federal reserve rate in 2019, this fuels further increase in domestic borrowing rates. That said, Singapore offers a diverse range of asset sub-classes to cater to investors with different risk-return profiles; core assets such as office and prime logistics assets provide a range of around 1.4% to 4.8% above the risk-free rate. Amidst the ongoing global volatility, investors are investing in defensive assets which can provide a stable stream of income. Office and industrial assets are likely to attract more attention in 2019, especially as these sectors are poised to benefit from rental growth this year. The office sector continues to attract significant investor interest as this asset class delivers different return expectations. Underpinned by positive leasing activity and tightening vacancies, growth prospects of the office occupier market are solid. Further, strong rental growth is expected in this sector. Depending on the investment strategy of investors, some investors either adopt the core or value-add strategy to boost income growth. Prime industrial properties with existing sale-and-leaseback tenancies are also emerging as another popular investment choice. Relative to the office and retail assets, yields for these properties provide a higher premium above the 10-year government bond yield. Depending on the land tenure, the spread ranges from 3.7% to 4.8%. With the industrial market showing signs of bottoming out in rents, it provides further rental upside for investors from 2019 onwards. The increasing number of new entrants into the office market is a testament of foreign investors’ confidence in Singapore’s market. CBRE Research noted that several new investors made their foray into the Singapore office market in 2018 (Figure 13). This included Gaw Capital’s purchase of Robinson 77, ARA-Chelsfield joint purchase of Manulife Centre, Allianz Real Estate’s acquisition of a 20.0% stake in Ocean Financial Centre and Kenedix Inc’s purchase of a 25.0% stake in Capital Square. There are several factors which attract these investors to Singapore. Firstly, there are opportunities available for investors with different return expectations ranging from core plus to value-add investments. Positioned on the upside of the rental cycle, Singapore’s commercial sector emerged favourable amongst property funds. In addition to capitalising on the tightening office vacancy, value-add funds are eyeing further gains through asset enhancement initiatives. Secondly, the ease of investing in Singapore attracted these new players. Overall investment quantum in en-bloc office assets may be relatively large but this does not deter investors. There are various methods of entering the market while limiting their risk exposure – other than forming joint ventures to share the risk, investors are able to lower their risk exposure by acquiring a partial stake in the property. This grants them access to the income stream of the property yet leave the asset management expertise to a seasoned real estate investor. Over the past two years, investment demand for hotel assets have risen (Figure 14). This momentum continued in 2019 when three largest hotel transactions over the past four years happened in January. There were Oxley Holdings Ltd's sale of Mercure and Novotel Hotels for $950.00 mil, a tender award of a hotel site along Club Street for $562.20 mil to Midtown Development Pte Ltd, and Ascott Residence Trust’s divestment of the Ascott Raffles Place for $353.3 mil. Demand for hotel rooms is on the rise. Visitor arrivals to Singapore grew 6.6% y-o-y to 16.90 mil visitors over January to November 2018. To cater to this growing demand, URA revised its approach on development applications for sites that are not zoned or permitted for hotel uses. This amendment took effect from August 2018 and prompted property developers to acquire and convert sites from the private market to hotel use. 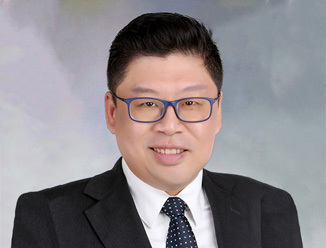 Such transactions included Worldwide Hotels Pte Ltd’s purchase of Golden Wall Centre, Fragrance Group’s acquisition of Waterloo Apartments and the sale of Darby Park Executive Suites to Royal Group Holdings. Hotel supply remains limited; the last hotel site made available for sale from the GLS Programme was in the 2H 2013 GLS list and the award of the Club Street hotel site was the first in five years. With the conversion of use to hotels, it helps to alleviate the supply crunch of hotel rooms. Other than the traditional sectors, investment into niche asset types have grown. Turnover in this sector, which includes shophouses, medical suites and petrol station sites, have reached a new 10-year high of $1.004 bn in 2018 (Figure 15). Note: Niche assets include shophouses, medical suites, nursing homes, petrol stations, carparks and dormitories. Commercial shophouses have emerged favourably amongst investors as it is an asset class that is exempted from encumbrances such as foreign investment restrictions and additional buyer’s stamp duty. Prices for this sector have grown significantly; driven by the rise in commercial rents after the global financial crisis, growing demand from occupiers and limited shophouse supply. In addition, several key areas are likely to benefit from the Business Improvement District programme spearheaded by the URA. These areas include China Place and Kampong Glam where key stakeholders include shophouse investors and business operators. Finally, this asset type attracts a diverse range of investors which include funds and family offices. With a median deal size of approximately $6.00mil, this is palatable for a large spectrum of investors.